Confession: I lose track of things, even things I knit. What’s worse is when I lose track of not-quite-completed knits. I have this vague concept that they’re out there somewhere, languishing in the bottom of a bag only a few (or many) rows or hours from completion. This doesn’t include projects with ends that need to be woven in; those sit on a corner of my coffee table taunting me until I break down. All that to say I’ve had this niggling feeling that I was missing a pair of socks I knit for myself. I knew I hadn’t finished them, but I wasn’t sure how unfinished they were. Or where they were for that matter. (Matching my knitting is apparently a big deal for me). They disappear from my timeline for a while, then return for the fall. Why was I so sure I had these socks out there besides the hours and hours of knitting? They’re in one of my favourite sock yarns, the discontinued Nashua Handknits Best Foot Forward. This was such a lovely and funny article, and I love the pictures! 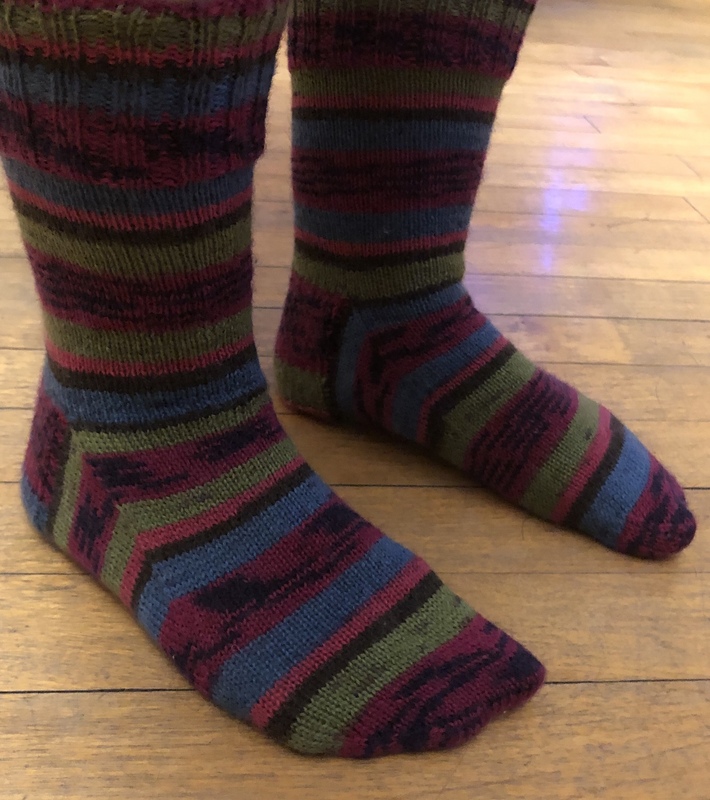 You made this into a hilarious and charming story I could really relate to, and your socks are fabulous! What a great job you did; enjoy the cosy smooshiness! I love that yarn…it creates such great stripes. Excellent, love the timeline! I don’t generally lose projects, but I have the nasty habit of loosing track of needles. Sometimes they just seem to reappear, always when I’m not looking for them. When I do, I never find them. These socks look great, funny how the colors change with the light. 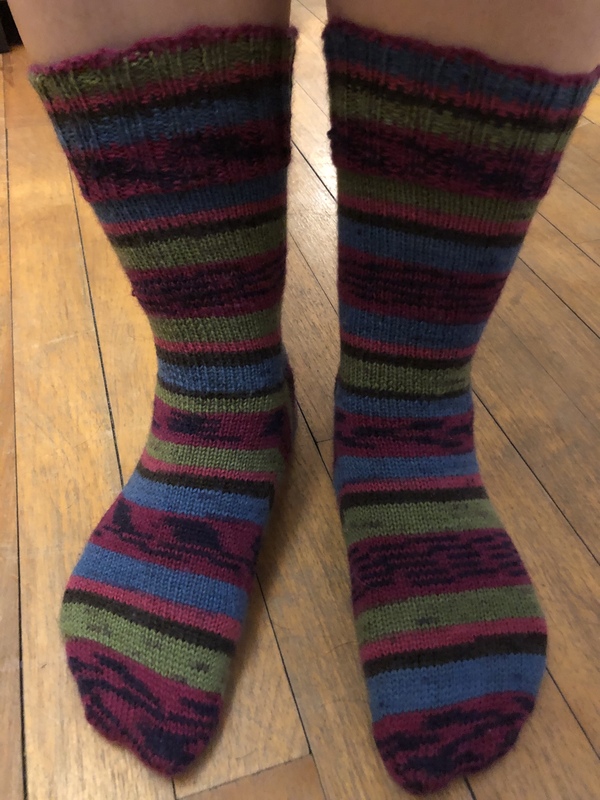 I love seeing all your conference call sock knitting photos on Instagram! Bet your feet are cozy and happy now. Beautiful socks! I have a collection of socks and love them all.